Once an individual has decided to join a rehab program, the first step is to undergo a thorough clinical assessment with a qualified drug counselor or other addiction professional. After an extensive intake, the assigned counselor will usually work with a multidisciplinary team to create a tailored treatment program. For some substance abusers, an inpatient program will be most advisable because of its intensive nature and around-the-clock supervised care. In some cases, leaving an intensive inpatient program does not result in a complete discharge from structured treatment. It may be advisable to enter a stepped-down program, such as an intensive outpatient program (IOP). Treatment is still necessary but it is important to return to work, family, school, or other personal obligations. Close proximity to family members, such as living with them, is desired. The home environment does not present a risk of relapse. Neither insurance nor adequate financial resources are available to cover the cost of inpatient treatment. An IOP plays a critical role in the drug abuse treatment rubric. As a transitional treatment option, an IOP can help to smooth the passage from an inpatient program to full reintegration into one’s social life and its many obligations. There is no surefire path to recovery, but research shows that a commitment to sobriety coupled with affirmative activities to achieve it, such as attending counseling sessions, can only benefit the process. 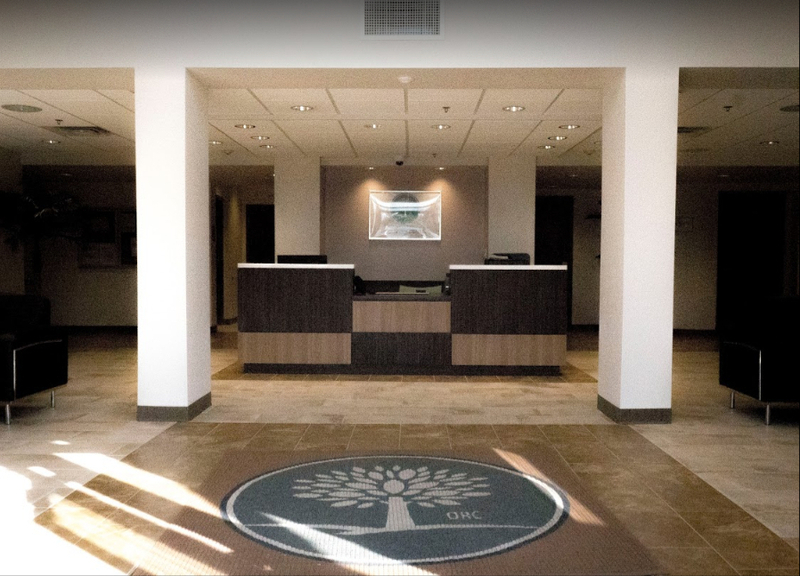 Some treatment programs offer both an inpatient and intensive outpatient program. In this case, a recovering person may decide to transition into the IOP at the same rehab center; however, there will likely be occasions when the recovering person will enter an IOP at a different facility. In advance of discharge, a counselor at the inpatient program can work with the client to locate a suitable IOP. Going from an inpatient program to an IOP demonstrates a firm commitment to recovery. Guidance is available to walk the recovering person through this important step. The Substance Abuse and Mental Health Services Administration (SAMHSA) provides extensive information on the services a recovering person can expect to receive at an IOP. While no two intensive outpatient programs may be identical, according to SAMHSA, all programs should provide a core treatment curriculum (whether all services are available on site or in association with a third-party agency). According to research SAMHSA reviews, group therapy is the crux of IOP treatment. Several studies indicate that group therapy is at least as effective as one-on-one counseling (these forms of counseling should coexist; one should not supplant the other). Recovering individuals who have transitioned from an inpatient program to an IOP will already be familiar with the group therapy process; however, the group members will be new due to the change in program type and/or treating rehab center. IOP clients will have an opportunity to apply lessons learned in group therapy at the inpatient program in the new program. Also, the new members will result in a new group dynamic; oftentimes, new group members have a way of calling out new issues that need to be explored. Generally, an IOP consists of nine hours of therapy per week. Typically, the nine hours is broken down to three hours of sessions on three days or evenings. Group therapy may include psychoeducational sessions (lessons on consequences of drug abuse) and family therapy. The optimal size of a group is 8-15 individuals. It is important to note that psychotherapist or educator-led group therapy is distinguished from self-directed recovery groups such as AA, NA, or those with a secular basis. Depending on the specific IOP, there may be group recovery meetings on site, but the IOP will usually only provide the meeting space as these groups run themselves. After discharge from an IOP, group therapy is always an advisable part of an aftercare program for recovering people. The recommended number of sessions/hours per week will vary depending on the particular needs of the recovering person. Individuals who have maintained abstinence for years may safely choose to drop down to a couple of sessions per month, or join group recovery meetings such as NA or AA in lieu of psychotherapist-led group therapy. Any such decision should be discussed in individual therapy. Erika Cormier, author of the addiction memoir When the Smoke Clears, highlights that NA and AA meetings offer a different dimension to the recovery process than group therapy services in an IOP. NA and AA provide a community-based approach to recovery compared to the clinical methodologies of group therapy at an IOP.As Cormier discusses, the “shared experience” characteristic of NA and AA group meetings is instrumental to healing addiction in both the early and later phases of recovery. Self-directed group recovery meetings can effectively support the recovery process at an IOP and should be seen not as supplemental as much as an effective addition to treatment. For those who transitioned from a residential program to an IOP, NA or AA meetings will likely be familiar. The group members and site location may change but not necessarily. Inpatient programs sometimes host AA and NA meetings on site or provide transportation to outside meetings. In the case where the inpatient and IOP are located at the same center, or nearby, an individual may elect to maintain membership with the same NA or AA group. This decision will come down to a matter of preference when this option is available. Neither NA nor AA advise that attendance with the same group is any more beneficial than attending meetings with different local groups. The true key is attending a group meeting, wherever it occurs and with whomever attends. The National Institute on Drug Abuse (NIDA) provides an in-depth look at what should occur during an individual drug counseling session and what the goals of this treatment should be. It is important to note that persons in an IOP will generally be subject to drug testing, the results of which will be released to the treating counselor to help monitor the person’s progress and to discuss any instances of relapse. A person who is in an IOP after a residential program will already be familiar with the individual counseling model. This is an exploratory form of therapy that can continue indefinitely. There is no threat of redundancy or burnout in this process because the personal topics to discuss are near limitless. It is advisable that individual counseling continue as part of an aftercare program after completion of the IOP. The opportunity to work with a new counselor may be beneficial to the process as the IOP client can explore different styles and interpersonal dynamics. The key is to deepen self-awareness in the process and not feel bound to an individual therapist if circumstances dictate that the sessions cannot continue with the familiar therapist. Successful treatment can happen with any suitable therapist who creates a trusting professional environment. According to SAMHSA, an IOP can serve as an important service point for those who can benefit from medications that help prescribed users to avoid relapse or block the effects of drugs. For instance, for recovering alcoholics, an IOP can potentially dispense the medication Antabuse. Doses are usually effective for three days, which conveniently coincides with the IOP treatment schedule. In the case of those recovering from opioid abuse, a qualified IOP can potentially dispense medications such as methadone and buprenorphine to help avoid a relapse and to maintain abstinence. It is important to note that not all IOPs may be equipped or approved to prescribe and dispense prescription maintenance medications. Those in recovery from drugs of abuse such as alcohol and opioids are best advised to discuss IOP options with their discharging counselor at their inpatient facility. If the person has already been receiving such treatment at an inpatient facility, a referral to an appropriate IOP (if different from the inpatient center) will likely occur. In the alternative, the client may attend an IOP that does not have this service feature but coordinates with a local facility, such as a methadone clinic. A person is said to have a dual diagnosis when they suffer concurrently from both a substance abuse disorder and one or more mental health disorders; for example, an individual suffering from both schizophrenia and addiction issues has co-occurring conditions. Some IOP facilities are dual-diagnosis treatment providers and advertise as such. A diagnosis of a mental health disorder may predate admission to a drug rehab program or may be discovered during treatment for substance abuse. If the IOP is equipped to treat the diagnosis, then it will do so when appropriate. If not, the IOP will need to make the necessary referrals to, or coordinate with, a mental health facility. According to SAMHSA, while clients with co-occurring conditions may present challenges in treatment, many are responsive to intensive outpatient treatment. In general, clients with less serious mental health disorders fare better in the IOP setting. Research has found that long-term care of persons with a dual diagnosis has proven more effective than short-term intensive care. The benefits of treatment for co-occurring conditions in an IOP include a reduction in suicide attempts and a decrease in depression. According to the National Institute on Drug Abuse, the relapse rate for recovering substance abusers ranges between 40 and 60 percent. There are numerous reasons why the rate is so high, and multipronged efforts must be made in the field of addiction treatment to stem this statistic. Challenging personal circumstances can create a barrier to sustained abstinence. IOPs may vary in the level of coordination of social services, but at a minimum, appropriate referrals should be made when possible. These services are not only geared toward relapse prevention but assist a recovering person in staying in the IOP. For instance, although living with family may be adequate while in treatment at an IOP, it may not be advisable for all recovering persons. An IOP may be able to work with a client to locate private and state-funded housing opportunities that are supportive of recovery. The need for social services support, such as transportation, may be particularly important for a person transitioning from an inpatient program to an IOP. An inpatient program meets all of a recovering person’s survival needs (e.g., shelter, food, etc.) whereas an IOP is not set up to do so. At the time of discharge from the inpatient program, or admission to the IOP, the assigned counselor should take precautions to ensure the client has the resources, such as transportation, to successfully participate in the IOP. 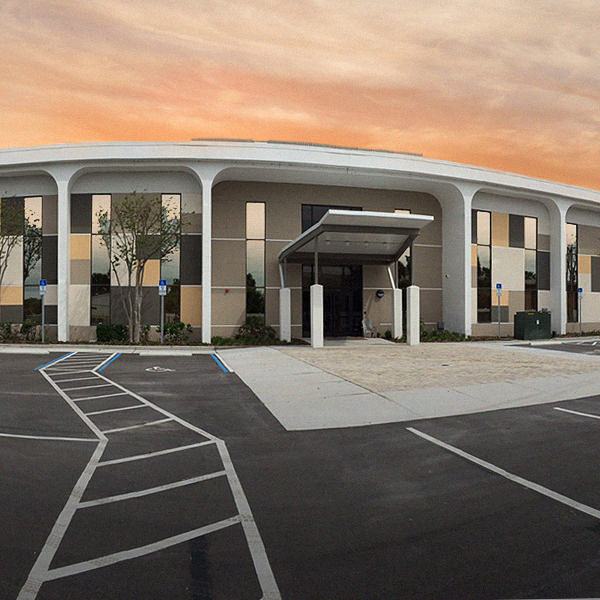 Orlando Recovery Center is a fully licensed rehab center offering intensive outpatient treatment, among other treatment services. We provide numerous core programs, such as intensive individual and group therapy, and recreational amenities such as a resort-style pool and gym. In addition, we provide our clients with legal services that can to them to organize their affairs and get their lives back on track. Set beside a lake, our grounds are conducive to healing the past and helping our clients to build a healthy drug-free future. Call us today for more information.